PhD. (Arch) MSc. (Arch) BSc. (BE) Hons. Arosha Gamage is the founder and principal architect of Design Studio; an Interior and Architectural firm that specializes in eco design practice. She is an academic with in-depth practice experience, and her research interests are mainly on ‘ecologically sustainable design’. As a design educator, researcher and practitioner, her main expertise lies in areas such as biomimicry, ecological sustainability, eco architecture, material technologies, system integration methods and vernacular design strategies. In her career of architecture, she has participated and presented in many workshops, exhibitions, conferences on environmental architecture and sustainable design and has received many academic, research and design awards. Arosha completed her PhD in Architecture at the Faculty of Architecture, Design and Planning, University of Sydney. Her doctoral study is entitled: ‘Exploring a Biomimicry Approach to enhance ecological sustainability in architecture’. The thesis outcome was a development of a Biomimicry Approach for eco design projects. This approach lies mainly in ‘idea generation’ i.e. to conceptualize design by understanding natural adaptation and integration strategies to comprehend system integration methods and to obtain space optimization in buildings. Arosha graduated her Bachelor’s degree in Built Environment with honors and a highly commendation for Master’s degree in Architecture from the University of Moratuwa. During her candidature at Moratuwa , she received awards for Best Dissertation: Justin Samarasekera Award, Best Comprehensive Design Project: Geoffrey Bawa Award and the Best Overall Student: Sri-Lanka Institute of Architects Award. By 1995 she became a fully qualified Chartered Architect and an associate member of the Sri Lanka Institute of Architects. She is responsible in designing an array of building types from interior refurbishments, architectural retrofitting to commercial buildings especially residential and in the leisure sectors both locally and internationally. Before entering the university she completed a diploma in Interior design and Landscape design. In 2008 has been bestowed the privilege by the University of Moratuwa to design one of the most prestigious international buildings in Sri Lanka: The SAARC Cultural Centre, which is now under construction. 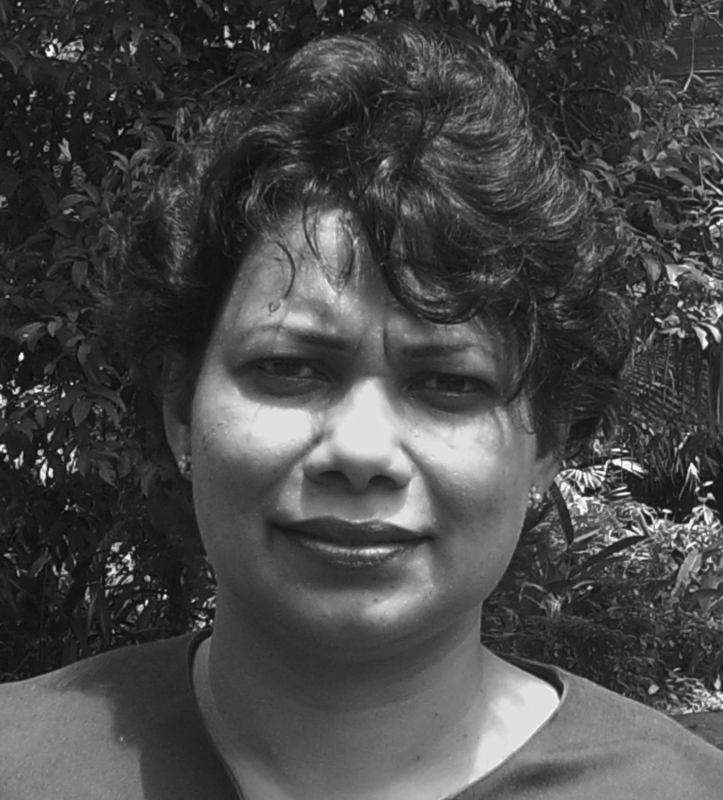 She was a senior lecturer at the Faculty of Architecture, University of Moratuwa, Sri-Lanka from 1999 to 2014. There, she pioneered in developing a design teaching module named –‘Nature Studies Analysis’ to the year one curriculum of Architecture and Design undergraduate course. Her career path compelled her to follow a different but connected field-a certificate in Architecture, Energy and Environment with Lund University in 2003. She also was a participant in a staff exchange link program in 2006 between University of Moratuwa and University of East London to promote Sustainable Design and Education sponsored by The British Council. She has participated in many voluntary community projects especially designing religious buildings and community housing complexes for tsunami affected families in Sri Lanka.